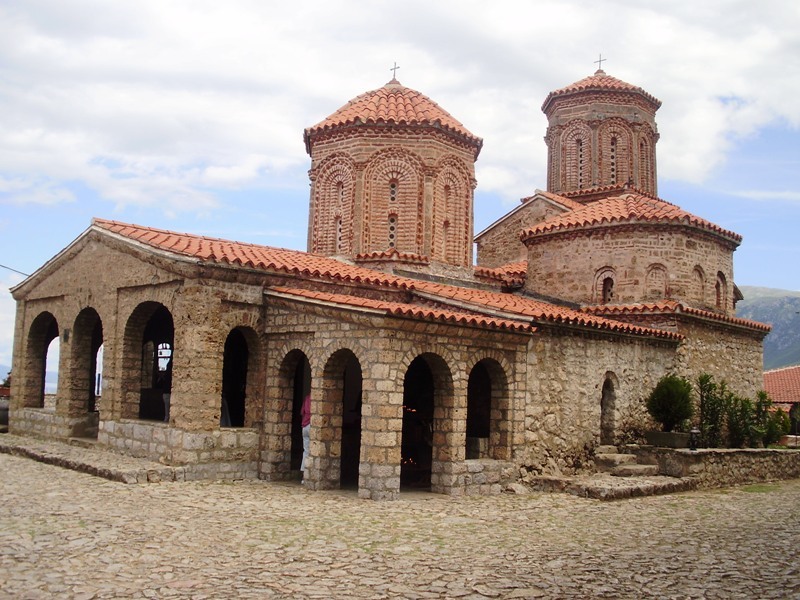 Monastery of Saint Naum is popular place which is situated 29 kilometers far from city Ohrid. 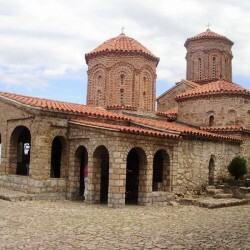 It was built in 905 by monk Saint Naum. The icons of St. Naum are some of the best religious painting achievements in the Balkans. There are 3 ways how you can get to Saint Naum – by boat, by direct bus from Ohrid station or city center or shared taxi from city center. More information about Saint Naun Monastery. 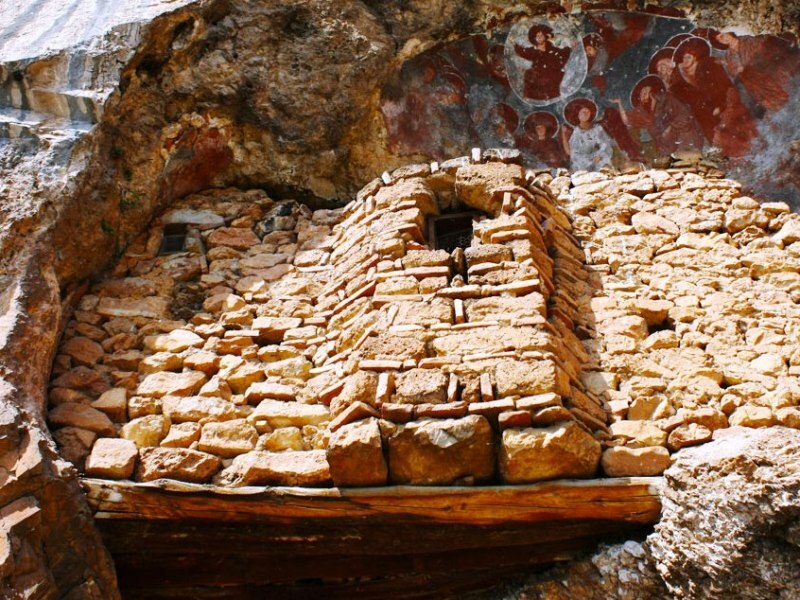 Near village of Radozda, 26 km far from Ohrid on the west coast of lake there is interesting cave church dedicated to Archangel Michael which was built in the natural caves in the rocks. 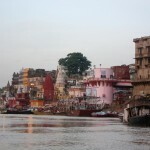 Part of the discovered frescoes come from the 12th century. 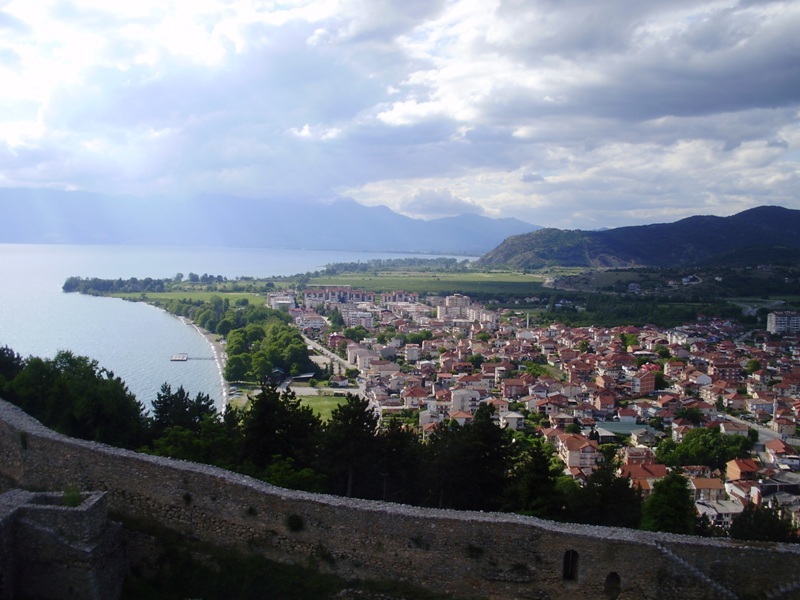 Take bus from Ohrid to Struga and taxi from Struga to Radozda. 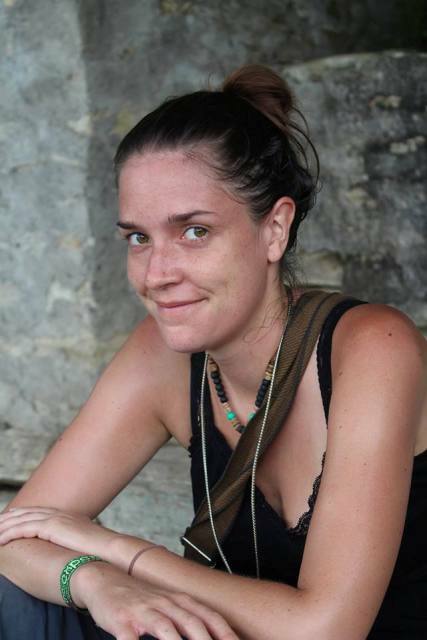 Then walk uphill short distance to the cave church. 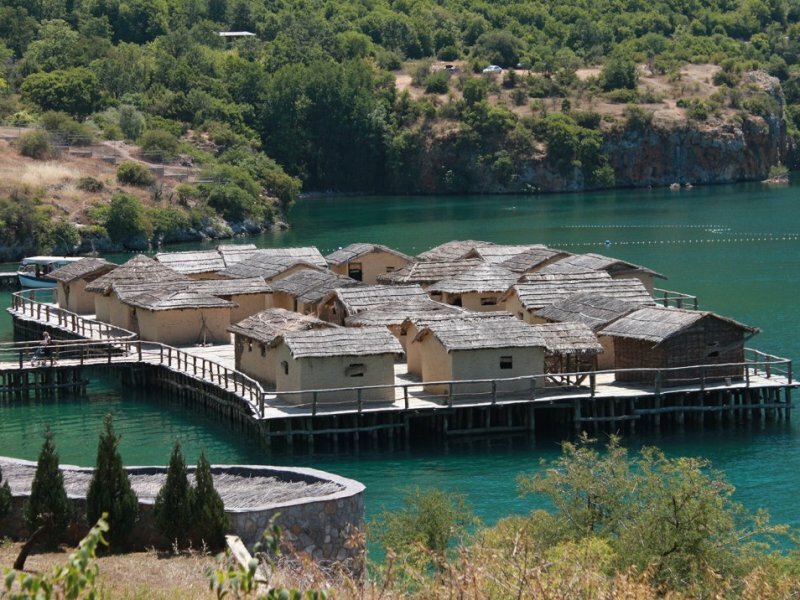 Bay of bones has a base for underwater archeology and tourism, and is settlement with 24 prehistoric houses on a wooden platform placed above the lake Ohrid. 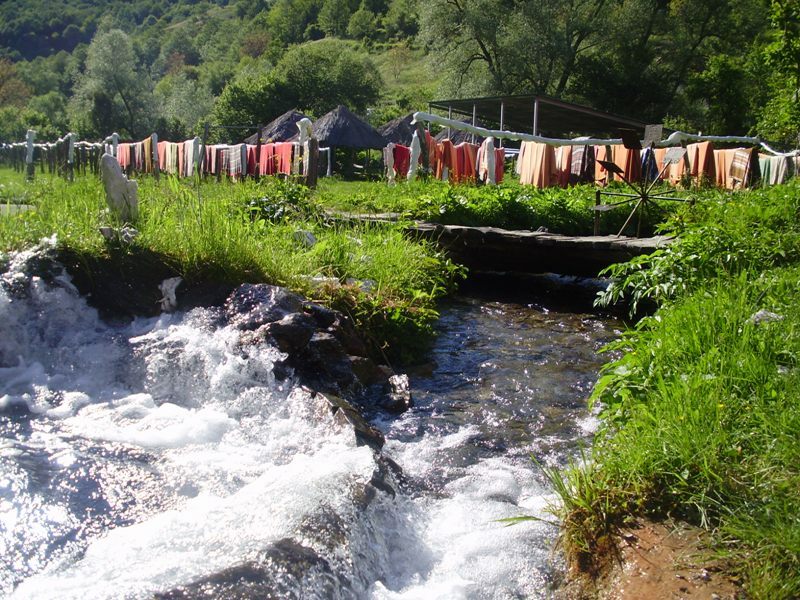 It is located near village Gradishte on the main road 16 km far from Ohrid. Take taxi from Ohrid or take a bus which conect Ohrid with Ljubanista and get off the bus directly at the entrance to the Bay of bones. 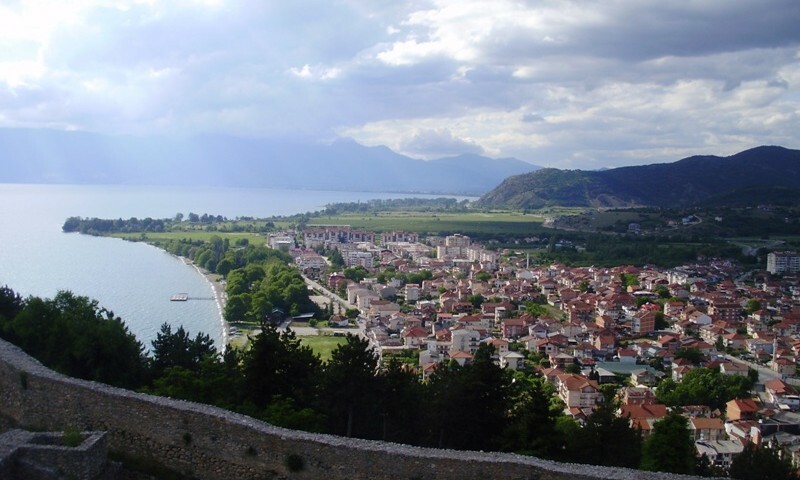 Beautiful views across the Ohrid lake and neighboring mountains can be seen from the Galicica view point in Galicica national park. There is asphalt road connecting Ohrid lake with Prespa lake throught national park and this view point is situated directly on the top. 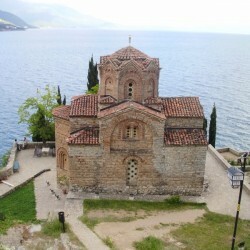 There are no buses so you must take a taxi from Ohrid, which costs around 15 euros one way or you can hike there. Recica is very small village, 19 km far from Ohrid. 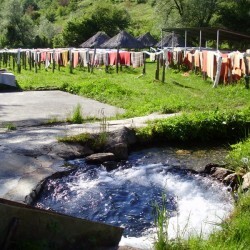 This village is popular place for its natural washing machines and dryers. There are no buses to Recica so you must take bus to Kuratica from Ohrid bus station or city center and get off before Kuratica village, on the crossroad with Recica village. From crossroad you must walk 3km to Recica. 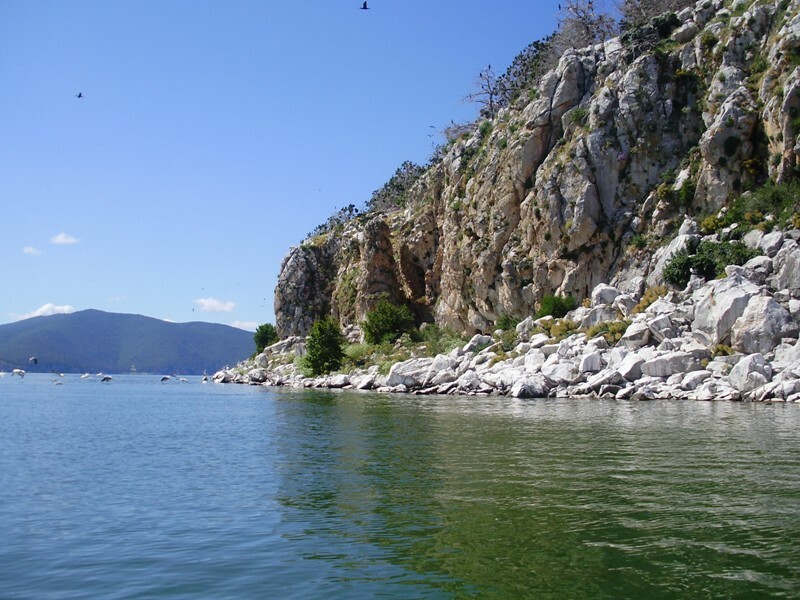 Golem grad is island on the Prespa Lake which is also known as Snake Island and it is only one island in Macedonia. 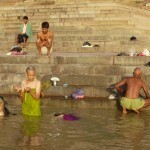 You can watch pelicans, black cormorants, snakes, turtles and see some endemic trees and ruins of old churches. You must take bus to city Resen. Ticket costs 150 DEN and journey takes about 45 minutes and from there taxi to Stenje which costs 500 DEN. 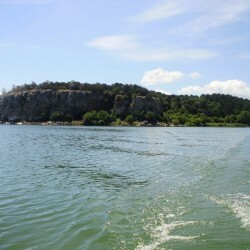 From Stenje you must take a boat which will take you directly to the Island. More information about Snake Island Golem Grad. 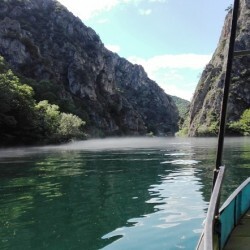 Your article proves that there is more to Macedonia than Lake Ohrid! 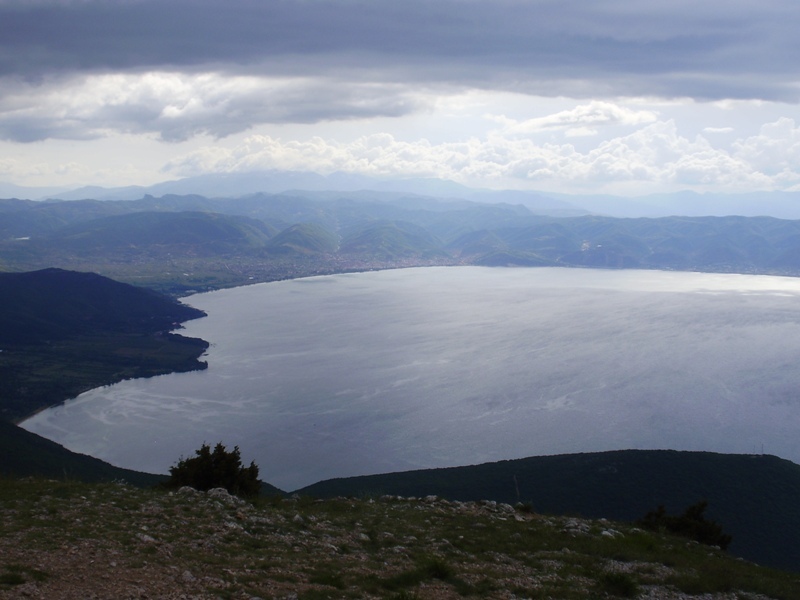 We could explore some of your mentioned places and were especially mesmerized by the second lake Prespa. We had the beach completely to ourselves and the food prices in the beach restaurant were pleasantly low.